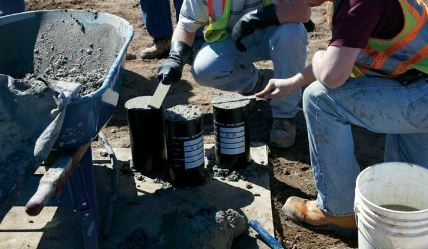 Inspection and testing of ready mix concrete is crucial to ensure that all specified conditions meet the acceptable criteria. Ready mix concrete, which produced in batching plant and transported to construction site by truck mounted mixers, are commonly inspected and tested in accordance with applicable standards such as ASTM international. Firstly, examine and specify whether facilities, scales, and truck mixers meet the specified project requirements or not. Inspect storage areas of all materials like cement, aggregate, and admixtures to ensure their cleanness, free of contamination, and properly protect materials from effect of freezing. Inspect and verify that coarse and fine aggregate gradation tests are conducted in accordance applicable standards like ASTM C 136, and result reach project requirements. Every delivery ticket shall be inspected to ensure that a mixture with the correct designation is delivered. 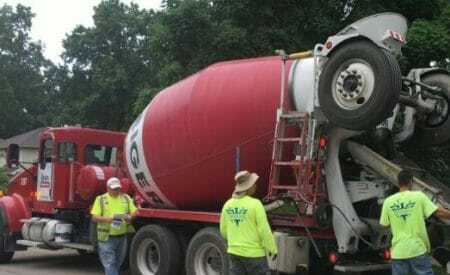 Inspect delivered concrete; it should be uniform and adequately mixed prior to discharge at the construction site. Inspect and monitor water, admixture, and fiber reinforcement addition onsite to make sure that the process performed properly. Monitor and examine concrete delivery and placement time to find out whether it completed within the time constraints of the project specifications. There are certain types of tests that shall be conducted on ready mix concrete upon reaching construction sites. Table 1 provide lists of tests that need to be performed on ready mix concrete on project site. There are certain properties that required to be evaluated. 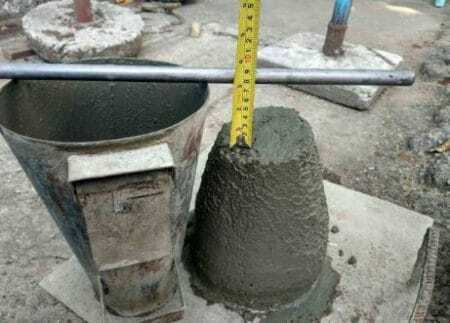 For this purpose, concrete specimen of ready mix concrete is tested in the laboratory. Table 2 provide list of tests needed to be performed for ready mix concrete. Test results shall be compared with values provided in ACI 318/318R to find out whether the concrete confirm with specifications or not. Specimens shall represent concrete conditions as placed. Date, time, placement location, truck number, and ticket number should be recorded. For each test age, minimum three strength specimens shall be casted. Minimum one set of strength test specimens shall be casted according to ASTM C 31/C 31M for each 76 m3 of each class of concrete placed in any one day. Samples, which casted for acceptance testing purposes, should be stored and cured for up to 48hr after molding on project site. Curing specimen should be according to applicable standards like ASTM C 31/C 31M. Specimens shall be stored in temperature ranges 16 to 27 ºC. Specimens shall be transported within 16 to 48 hours after molding to laboratory, and transportation time should not be longer than 4 hours.